Traveling in Ukraine, you realize that you are very lucky in this life. After all, believe us, Ukrainians have something to be proud of! Our country is truly unique and inimitable. We have a place to rest at any time of the year, there is something to surprise guests from all over the world, there is something to fight for and defend. 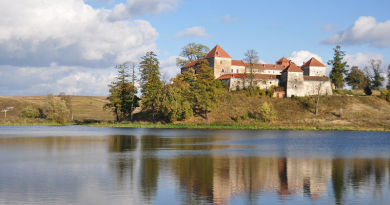 In the expanses of Ukraine, magnificent castles, palaces and fortresses rise, which silently remind of old times. Gardens are blooming, numerous natural reserves, parks, canyons, rivers, lakes, seas delight this list. 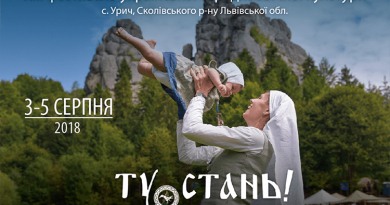 You can replenish and replenish the list …..
Discovering the tourist Ukraine is not surprising that the center of Europe is located on our land. That’s right, it’s not a hoax at all. 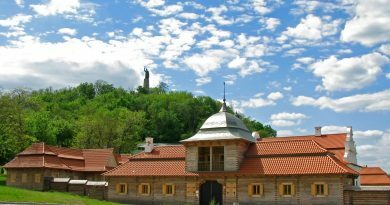 It really is located near the village Delovoye, which in turn belongs to the Rakhiv district of the Transcarpathian region. About him became known in the XIX century by the result of a geodetic study, which was organized by the leading geographers of the Austro-Hungarian Empire. Initially, the goal of the project was to properly prepare for the planned construction of the Rakhiv-Siget railroad. 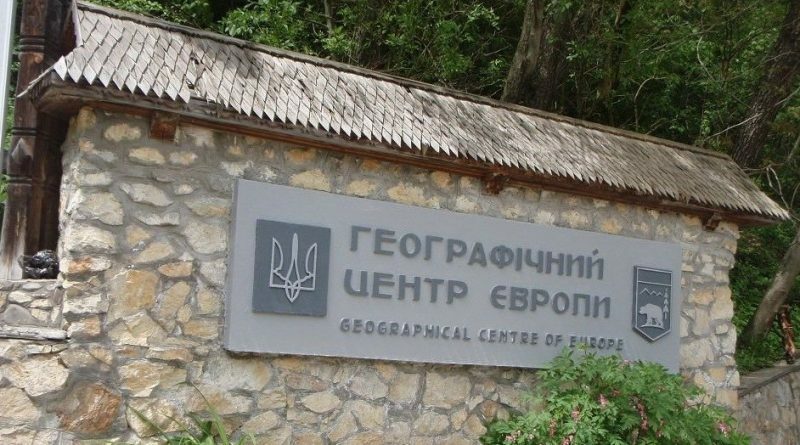 But, unexpectedly for themselves geographers have established that they managed to calculate the center of Europe. After a more detailed calculation, with the help of the most accurate computing devices of that period, the scientists arrived at a unified conclusion and sounded the exact coordinates of the center of Europe, 47 ° 56’3 “w and 24 ° 11’30” in d.
As a result, a memorable sign was installed in the village of Delovoye, which has been preserved to our time. Perhaps it is worth noting that the memorial sign in the photo denoting the center of Europe looks quite modest, this is a tetrahedral pyramid tower with an inscription in Latin. Nearby, in the post-war period, Soviet scientists established a stella, which symbolizes the planet and the cardinal points. As a rule, this tourist region is quite crowded, especially in summer and on weekends. In order to touch the center of Europe and see in their eyes this popular and at the same time outstanding place thousands of tourists travel hundreds of kilometers in their cars or buses. Here you can often see official delegations, large groups of tourists, seven as well as small companies of travelers. Most often, a big stir is observed on Sunday among the newlyweds, who believe that if they touch the center of Europe on the first day of their life together, this will bring good luck and family well-being. The local land is as popular and interesting as the practice has vividly shown to foreigners. On the mountainside, if you climb a little higher, you can see a small avenue of commemorative signs and information boards, where the provided extensive information about Ukraine, the flora and fauna of the Carpathian Biosphere Reserve and so on. Perhaps it is worth noting that the popular tourist walking route to the famous mountain Pop Ivan begins from the village of Delovoye. But, before you begin your ascent, it is imperative to register at the frontier post, since the Romanian state is already behind the mountain. 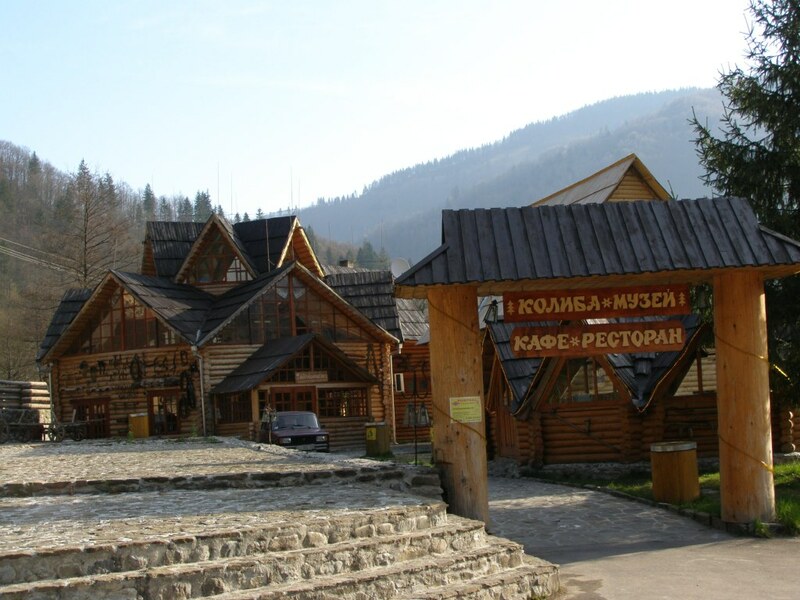 When planning your leisure time in the village of Delovoye, you should visit the local landmark – Kolyba-Museum, where you can find a huge exposition of household utensils and serve the most delicious traditional Transcarpathian dishes. In the vicinity of the village Delovoye, you should visit the highest single-cascade Yalinsky waterfall on the territory of the Ukrainian Carpathians. The height of the record holder reaches almost 26 meters. At 29 kilometers from the village. Business located town Solotvino, which is known for its salt caves and mines, which are very useful for people suffering from allergic rhinitis, bronchitis, rheumatism, asthma, psoriasis, arthritis, eczema, sciatica, as well as many skin diseases. Ski resort Dragobrat, which is located just 48 km from the village of Delovoye. Since the complex is located at an altitude of 1400 meters above sea level, the season often lasts until mid-May. If you still failed to experience the steepness of the slopes and snow-covered slopes during the Christmas and New Year holidays, you should not be upset. Because of its natural features, Dragobrat hospitably meets skiers and bordists even in the spring. How to get to the village of Business? It is not difficult to get to the popular village Delovoye. 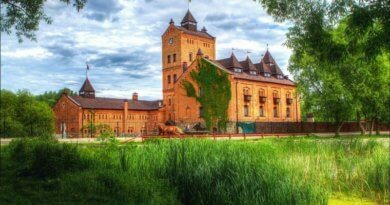 You just need to visit Uzhgorod or Ivano-Frankivsk like a convenient way for you. Next, do the transfer to the minibus, regular bus and in a couple of hours you are there.